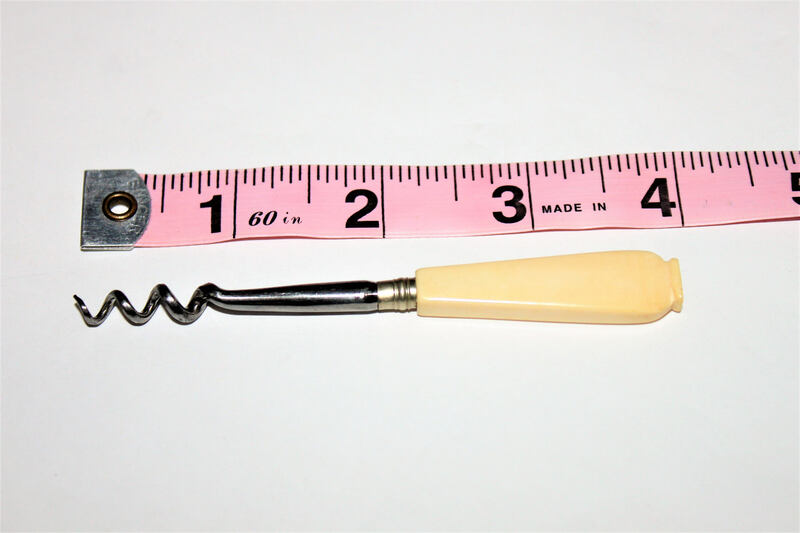 Pre-1900 all perfume, vanity items and medicines came in a corked bottle, so this style corkscrew would have been found in your vanities and kitchen areas for these smaller type bottles. 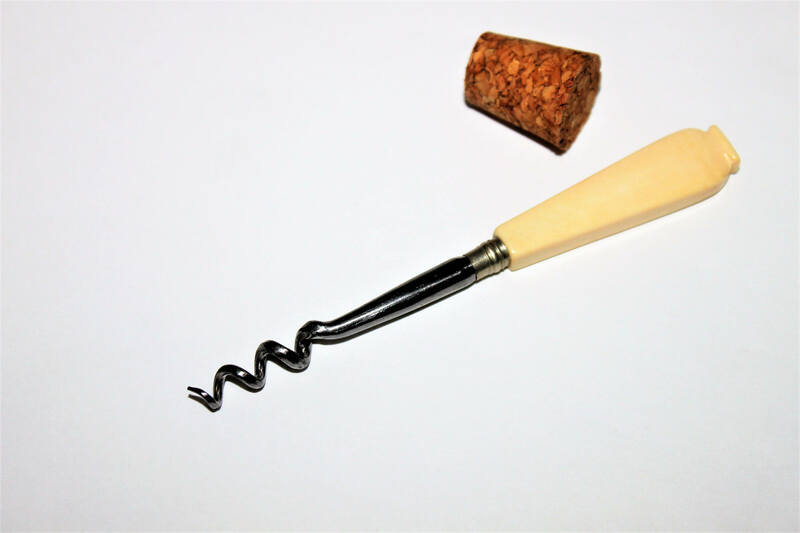 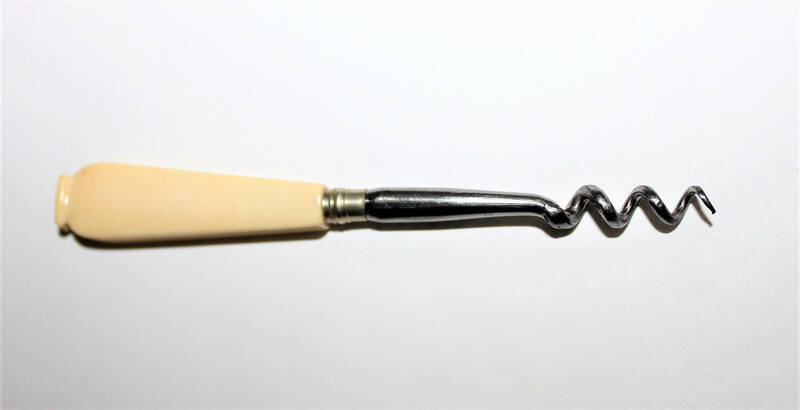 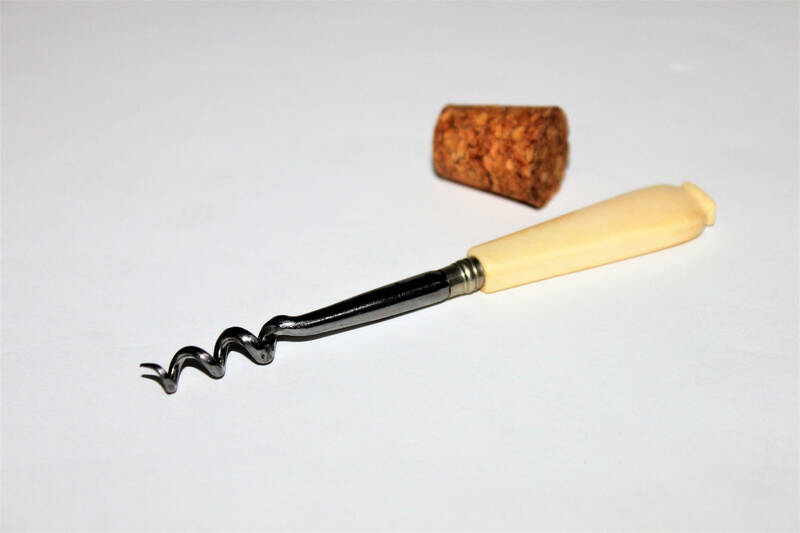 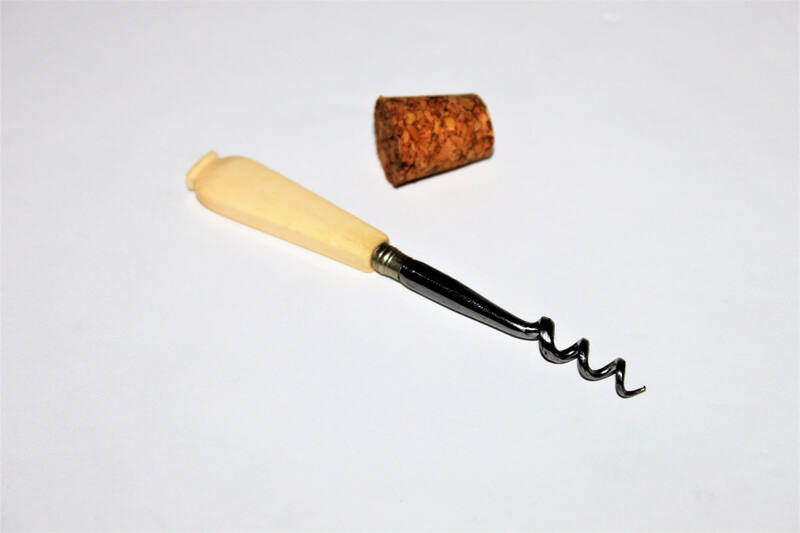 The corkscrews are made of a steel shank and the handle is a Celluloid plastic. Condition; very good for age, some very light tarnish shown on finish please zoom into all pictures.